Who Ya Gonna Call? …Sonic and Tails? Sega still believes in arcades, at least in Japan. So the company will use its Joypolis properties and the power of the Sonic brand to unleash a new attraction. 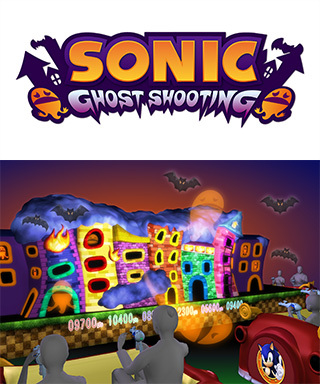 It’s called Sonic Ghost Shooting, and it will debut today in Japan’s Tokyo Joypolis, where it is already Saturday. According the amusement’s page, up to twelve players can take part in the action. The environment and baddies hail from Sonic Adventure 2, according to Japanese the description.